Best options to advertise in Food Court Elante Mall, Chandigarh. The Food Court at Elante Mall Chandigarh has so much to offer apart from the delicacies that they serve. There is an opportunity to get noticed, and it comes in the form of numerous advertisement mediums that you get here. 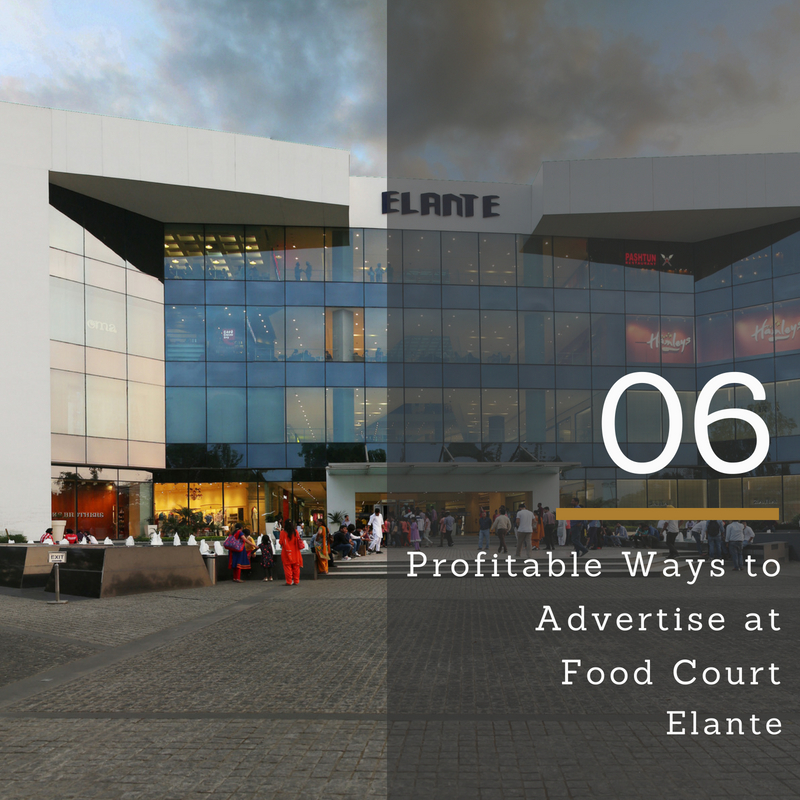 We will take a look at why it is a good idea to advertise in the Food Court area of Elante Mall Chandigarh. People will always want to eat, and that means you have hundreds of them passing by the Food Court to eat or buy something. That is why you will need to target them in the best way possible. 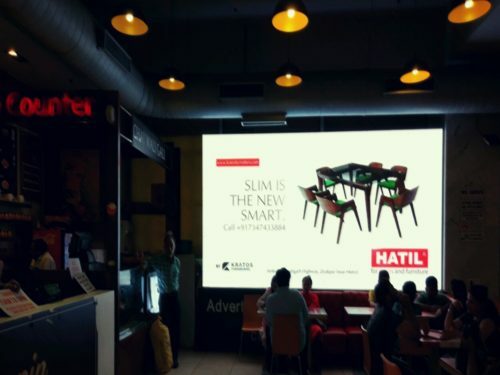 These are the six best types of advertising media that you will discover when you visit the Food Court, Elante Mall in Chandigarh. 1. Advertise on Big LED Screens. Nothing captures the imagination and interest of people than impressive graphics on a big LED screen. When you walk into the Food Court, Elante Mall in Chandigarh, you will find this screen in one of the largest and most crowded malls in northern India. With the repetitions at a rate of 20-second ads 100 times a day, there is no way to avoid this. The strategic placing and the creativity of this medium will ensure that you have healthy Returns on Investments. There is an increased Brand Recall that is achieved by the production of memorable, catchy and attractive ads. This will enable you to reach decision makers, influential consumers, wealth creators and high net worth people. With Big LED Screen Ads, you will be able to get the attention of people quickly with a well-made presentation that gets the message across. You can reach an estimated 12.5 lakh people in a month. 2. Gate Branding Of Small Cash Counter. Think of it as a temporary stall where you can set up what you are selling. Now without the gate branding, someone will have to get close to see what you are selling. That is why you should have a gate like this one. 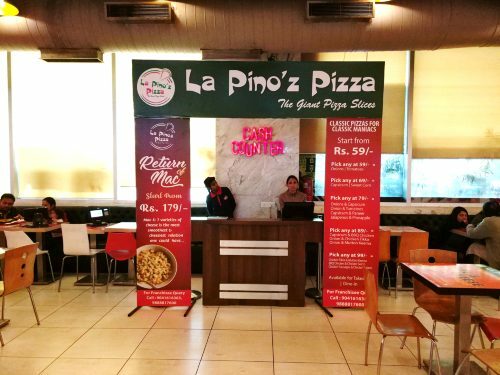 The thing about the placement of this one is that they are close to the cash counter and because everyone who goes to the Food Court, Elante Mall in Chandigarh has to pay for what they eat, there is no way that they will miss it. The Return on Investment that you are looking for can be achieved when you have this one. The fact that people also spend, on average, an hour eating means that there will be zero ad avoidance. This can reach 12.5 lakh people in a month. It welcomes, it stands out, and it draws attention. It deserves at the very least, a glance from a passing customer. You will also appear very professional if you have this one. How many times do you look into the mirror if it is right there with you in a food court or restaurant? That is the secret to this one. Most people will see in the mirror at least once. Moreover, when they are seated, it is easy for them to get distracted. If you are looking for a cost-effective way that targets a large footfall, this is it. It is not the fastest, but it gets the results that you need. The recall alone among those who will see and read this is amazing. You can reach more than 12.5 lakh people in a month. That is a huge number if you ask me. The high return on investment is also something that you will find hard to resist. With an advertisement on the glass mirror like that at the bottom or on the sides, they will probably read every word. That is the reason why you will need to make sure that you have tried this one out. The Food Court at Elante Mall Chandigarh has plenty of mirrors, use them. People sit at these tables every day to eat something and more often than not, they will be tempted to read what is on the table. That is why we have all the tablespace that you need to place stickers on. 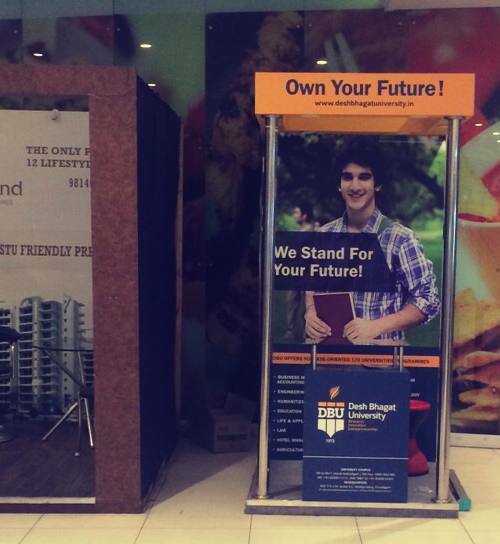 The ad that you have will be placed on 25 tables located inside the Food Court. 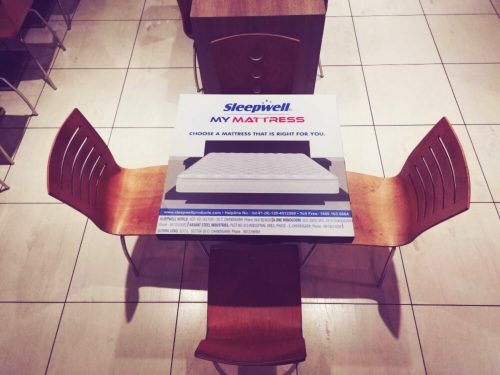 There is Zero Ad Avoidance because people sit down to eat at these tables for hours and they are all covered to make sure that there is attention drawn and Brand Recall is heightened. There is no way for them to avoid the advertisement. They can clearly see what it is talking about. If you make it tasteful and attractive, the tables top stickers will do the rest for you. Clearly, there is no way for you to lose when you use this one. This is the best way to reach the audience on a one on one basis, and that is why you will need to use it. Some so many people walk into the Food Court at Elante Mall Chandigarh, and they can walk away with a leaflet that outlines exactly what you have to sell. Nothing works quite the way that a one-on-one mass targeting and focused advertising does. That is why leaflet distribution is one of the best ways to come across very clearly to people who can read. With this method, you will reach three lakhs, people, a week. Hitting the bull’s eye is the target of every ad, and this one does so with ease and very high returns on investments. Once the leaflet has reached the person, unless they lose it, there is no way to stop the message from spreading to them. There is just no way for the people who come to this place to avoid this kind of ad. That is why it works so well. There are specifics about this ad, but you will not have any problems adhering to them. It is a neat way to promote products. A stall is a place that can be just a table with something on it or if you want to sell something, a fresh, attractive site. If you want the same magnetism that a tent at a circus ground has, this is the way to go. The strategy here is simple and effective. The crowds that go into the PVR Cinemas, Fun City and the stores and outlets will see this one. The package is designed to give you what all investors want, a high Return on Investments rate. With this one, you can reach 12.5 lakh people in one month. That is a high rate that is guaranteed base on the number of people that come here every day. You can have a giant stall space advertisement there with you that can be seen from anywhere on the floor of the food court. This is stall space redefined. Remember people that this is a mall we are talking about and many people visit every day. That is a reason you cannot ignore. Some so many people will be reached if you can find a medium that is good for you. Everything is offered at affordable prices, and that is how you will be able to get a rate that works for you. 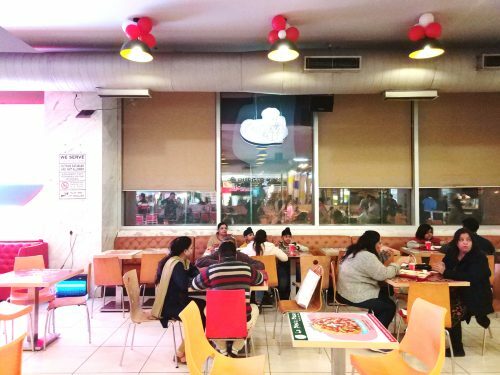 The Food Court area in the Elante Mall Chandigarh is a big one, and you have every chance to get your name out there. Try it out today. Combine two or more Advertising mediums to get the maximum chance of being spotted.